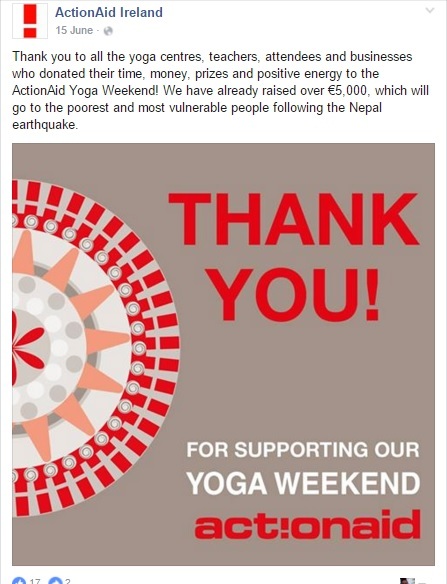 Manager of the first national fundraising campaign in aid for the Nepal’s earthquakes victims. Elaboration of the critical path (actions, offline and online communications, designing materials, website creation, etc). Supervisor of the marketing materials, slogans, postcards and other related ones. Supervisor and content manager of the event’s microsite. Researcher and contact database creator for the over 100 Yoga places. Cold-calling, cold-emailing and responsible for engaging our collaborators. Writing and creating external communication materials. 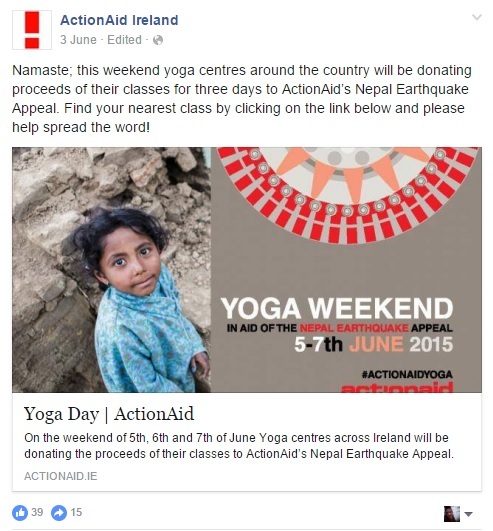 Article about the event on ActionAid’s Website.